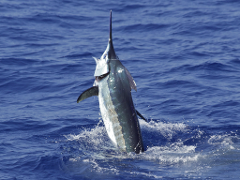 3/4-Day Exclusive Kona Fishing Charter. One Price books the boat-Up to 6 People. No fishing license required. Keep your catch. Departs daily at 6:30 AM Honokohau Harbor, Slip B-4. Lunch & drinks available for purchase at time of booking. 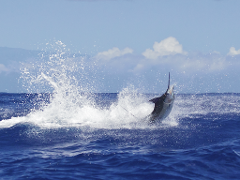 3/4-Day Exclusive Kona Fishing Charter. One Price books the boat-Up to 6 People. No fishing license required. Keep your catch. Departs daily at 11:00 AM Honokohau Harbor, Slip B-4. Lunch & drinks available for purchase at time of booking. 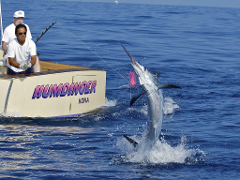 1/2-Day Exclusive Kona Fishing Charter. One Price books the boat-Up to 6 People. No fishing license required. Keep your catch. Departs daily at 6:30 AM Honokohau Harbor, Slip B-4. Lunch & drinks available for purchase at time of booking. 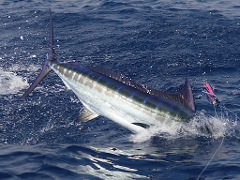 1/2-Day Exclusive Kona Fishing Charter. One Price books the boat-Up to 6 People. No fishing license required. Keep your catch. Departs daily at 11:30 AM Honokohau Harbor, Slip B-4. Lunch & drinks available for purchase at time of booking. 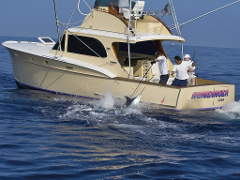 1/2-Day Exclusive Kona Fishing Charter. One Price books the boat-Up to 6 People. No fishing license required. Keep your catch. Departs daily at 1:00 PM Honokohau Harbor, Slip B-4. Lunch & drinks available for purchase at time of booking. 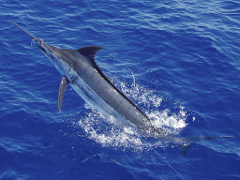 -Valid for one (1) 1/2-Day (4-hour) Kona deep sea fishing charter.